You are here: Home › early years › Let your students be the boss! This article explores the notion of learner agency: how ‘kids are the boss’ in our learning environment. 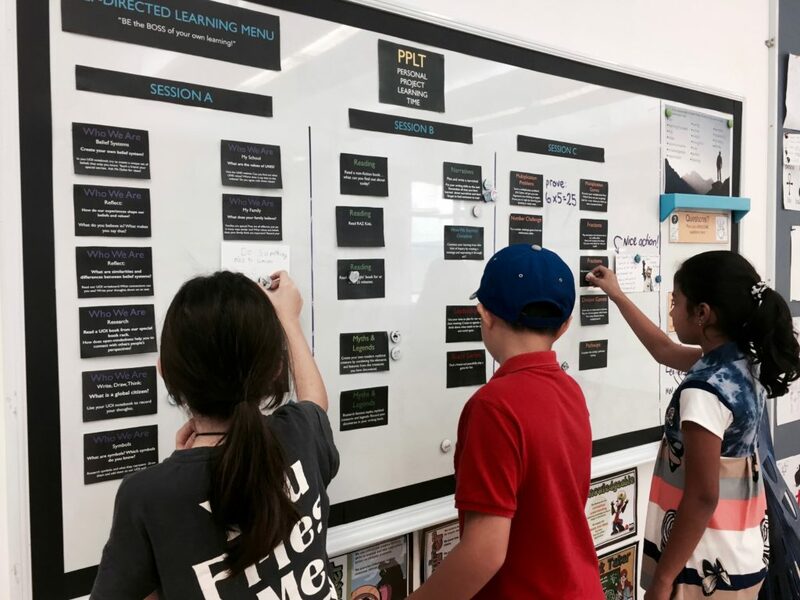 Returning as a teacher to the elementary homeroom this year, I wanted to take the opportunity to fully explore the latest themes in PYP education. The notion of learner agency(1), that students can and should be the drivers of their learning(2), was something that seemed familiar, but in practice would provide me with a year of growth and challenge. As an early years educator I hold an image of the child(3) that views students as capable, competent and intrinsically-driven inquirers. Encouraged by the PYP’s focus on learner agency and action, and eager to apply my philosophy in my new classroom, I was raring to get the school year underway. I opened the year by communicating that ‘kids are the boss’ in our learning environment. Our initial class meetings delved into what being the boss would mean in practice. The conversations went well and at this stage I was feeling rather pleased. The class agreed that starting a genius hour(5) would be a terrific application of our co-constructed essential agreements. We were all excited, but our enthusiasm quickly began to wane. Students would arrive at school with burning questions on the tip of their tongues, or a passion for a project that they were desperate to work on. And yet, these flashes of inspiration rarely coincided with our scheduled genius hour. Of course, we would commit to return to these individual projects either later in the day or week, but it was clear to see that our genius hour had become a non-starter. It seemed like just another part of the schedule that the teacher valued and the students “did”. Some students were keen, others benignly obliging, but the thrill was gone(6). As I reflected about the lack of spontaneity, and the unresponsiveness of our genius hour sessions, my attention turned to my weekly schedule. In my previous school’s authorization report, an area for attention related to expanding faculty awareness of the transdisciplinary nature of the PYP. I still recall reading the IB’s report and cringing in uncomfortable self-recognition. Yes, I had been guilty of displaying on my whiteboard a daily schedule which I dutifully updated for the students. You might know the type. It was splendidly laminated, enhanced with magnetic backs and had colors corresponding to different subject areas: mathematics, English, unit of inquiry. I thought it was helpful and certainly students have the right to know what to expect from their day. Yet, by dividing the day into fragmented blocks of time, I was not just reducing learner agency, but also expressing to my students that their learning was unconnected. By boxing curriculum, I was boxing student thinking and their understanding of the world. I now firmly believe that if you really want to position your students as the owners of their learning, then focusing on who owns the schedule? has to become a priority. Schedules are a balance of many factors and an interplay of the many priorities within schools. Whether school schedules are flexible or rigid depends upon the pedagogical approach taken by teachers and administrators(7). The classroom schedule had positioned us as disciplinary learners. I responded by seeking simplicity and flattening the schedule. We established that there would be times when adults would guide or lead learning and times when students would take on this role for themselves and their peers. It was that simple. This was what ‘being the boss’ would really mean for our class. Educators and students can step in and out of the lead role within a culture of learning. As the educator, I remained accountable for ensuring we made connections to all the outcomes required by the curriculum and reporting process. At the same time I increased my expectations that my students would also be accountable for approaching their learning as reflective, balanced and enthusiastic students(8). 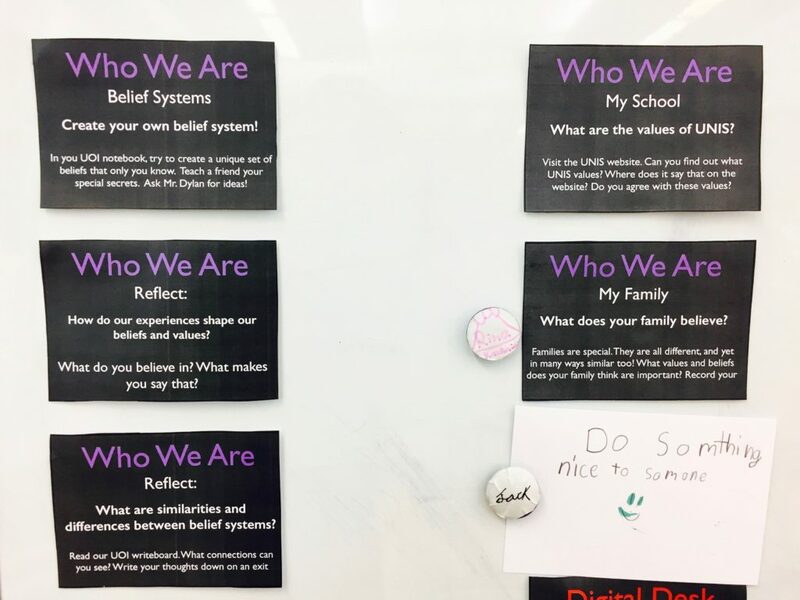 During our (now student named) Personal Project Learning Time, students could select from a range of learning activities, keeping a balance of their individual learning targets in mind. During any single session, students can work on a variety of tasks, covering all areas of the curriculum. At times, students would add their own learning activities to the menu. This suggests we had started to transition from a learner-centered to a learner-driven model(9). See below several practical tips for implementation. My next step would be to engage with other adults and classes in the learning community(10) as I have discovered that working in isolation installs a glass ceiling above our heads. At last, after a year of experimentation and a gradual release of control, the class community is basking in the glow of a more holistic, student-directed learning environment. As the lead learner in the room, it is highly inspiring to say the least. Students select projects that they are motivated to work on. Student voice can be honored by having students add activities to the menu. Students have the freedom to work alongside each other on meaningful projects. 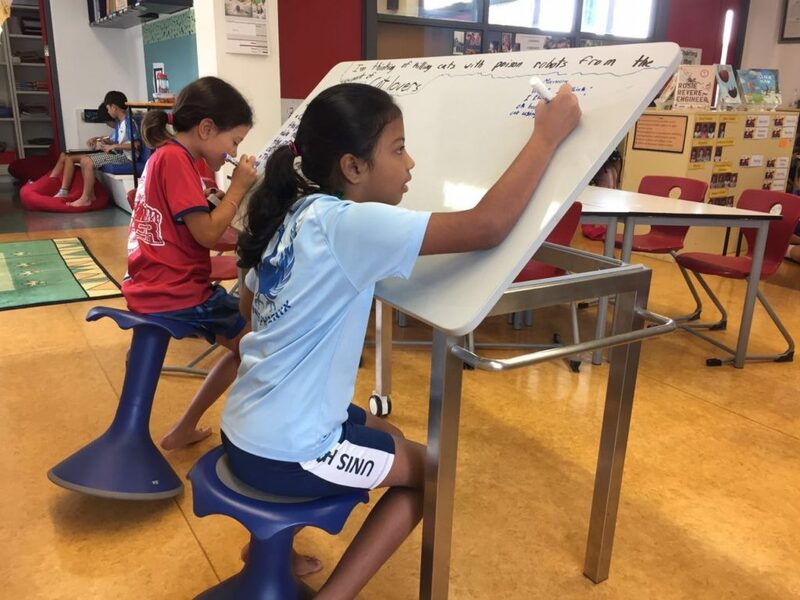 Rethink physical space: the traditional teacher desk became a Maker Space. Unbroken blocks of time provide students with opportunities to iterate and refine their ideas. (2) Personalization vs. Differentiation vs. Individualization Chart V3. 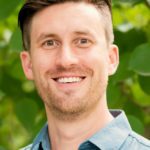 Dylan Meikle is an elementary counselor at United Nations International School Hanoi and is an experienced homeroom teacher in the PYP. He is a member of the IBEN and an Apple Distinguished Educator. 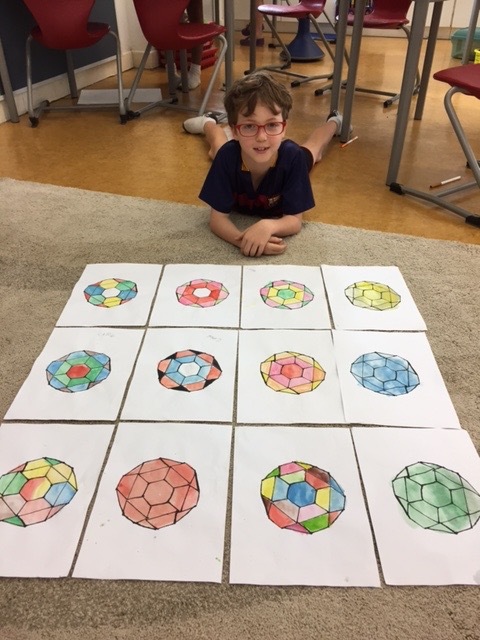 Dylan is passionate about learning environments and contributes to a blog on the subject at www.makespace4learning.com. He welcomes feedback, collaboration and further discussion via Twitter @dylan_meikle. 13 Responses to Let your students be the boss! Wow! Great work! Really inspiring! I always enjoy reading about teachers that take risks by implementing a new approach in the classroom, finding the results to be less than optimal, and then making adjustments that lead to success. Often, this is how we ask our students to approach their work, and it is nice to see a teacher model that approach! Great job being inventive and adaptable! Thanks Brian for your thoughts. Teaching, as a craft, does seem to be an ongoing series of adjustments! 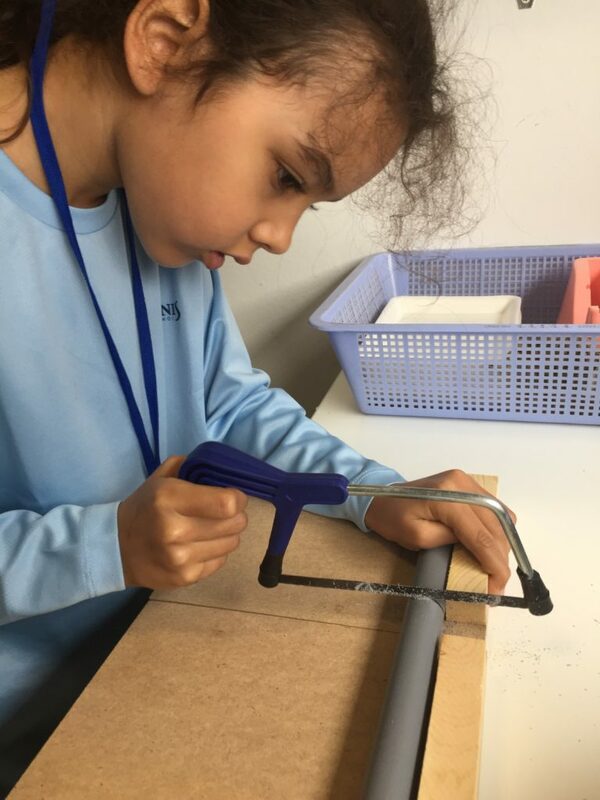 It is terrific that the Sharing the PYP blog encourages us to share process as well as product of our teaching efforts. Thanks for your comment Melinda. Best wishes to you for your school year ahead. Many thanks Judith for your supportive comment. wonderful thought provoking ideas, teachers and students are co learners.and when we give freedom to the students there is an ocean of learning opportunities for them. wonderful thought provoking ideas, teachers and students are co learners.and when we give freedom to the students that means we are giving them more learning opportunities. I knew you inspiring, wise and caring when I had the opportunity to learn from you this summer during the PTC course. Thanks for sharing and adding the musical element to our group skit. I was great to read your experience, It opened my mind to new alternatives and a different class organization ss must have the opportunity to lead and share their learning. I only just saw your kind comment! It has been lovely to get to know you too at the PTC.